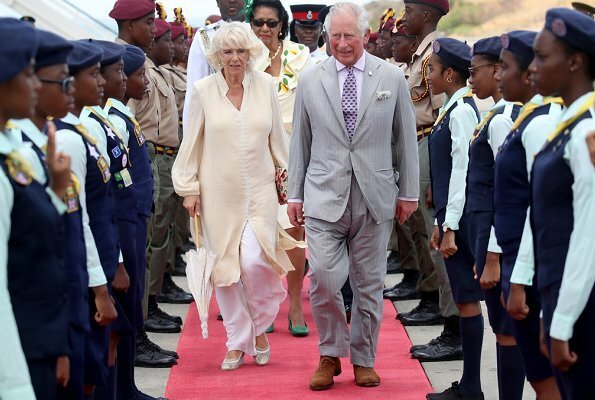 The Prince of Wales and The Duchess of Cornwall arrived in Saint George's, the capital of Grenada on March 23, 2019. 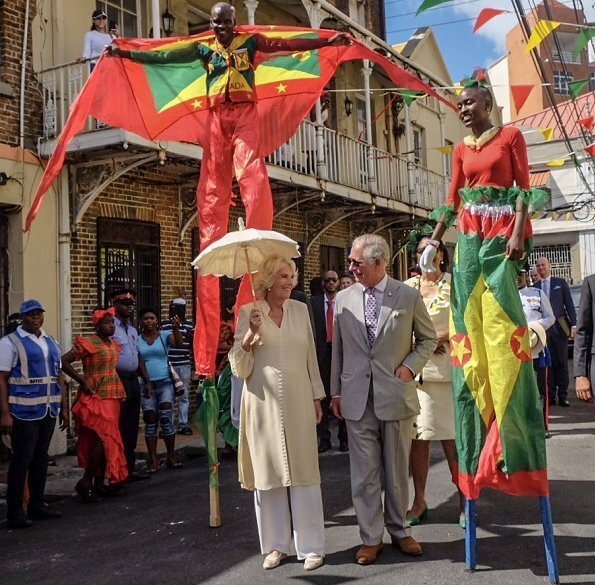 The Duke and The Duchess were greeted by the Prime Minister Keith Mitchell, and Governor General of Grenada Cecile La Grenade. 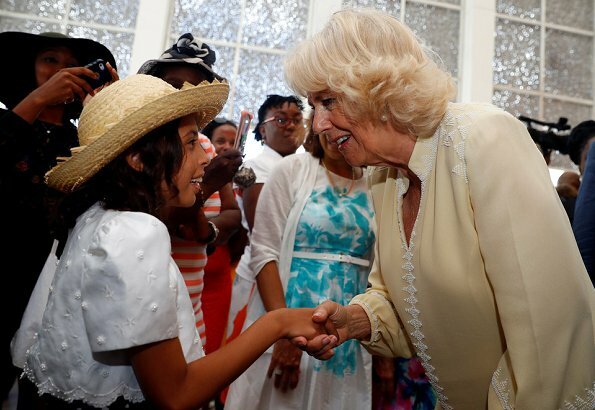 Afterwards, The Prince and The Duchess visited the House of Chocolate where they learn about the history of the cocoa industry in Grenada. 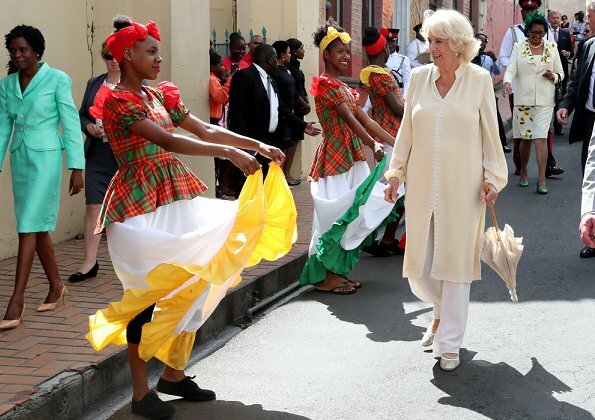 The Prince and The Duchess visited St George’s waterfront, the Carenage. 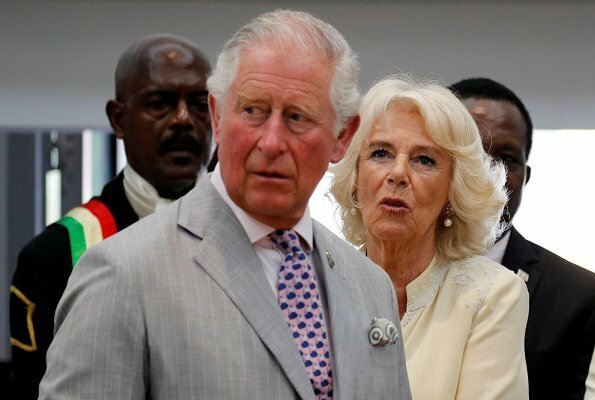 The Prince of Wales and The Duchess of Cornwall are visiting a number countries as part of their Caribbean Tour. they truly look happy with each other. The pictures on the beach are so nice. He in a suit with perfect shoes. She in a tunic, bare feet. They complement each other so well and I don’t know, they look so in love, almost like slightly awkward teens. I love everything about Camilla here. Here clothes suit her, natural look, barefoot at the beach, lovely smile. 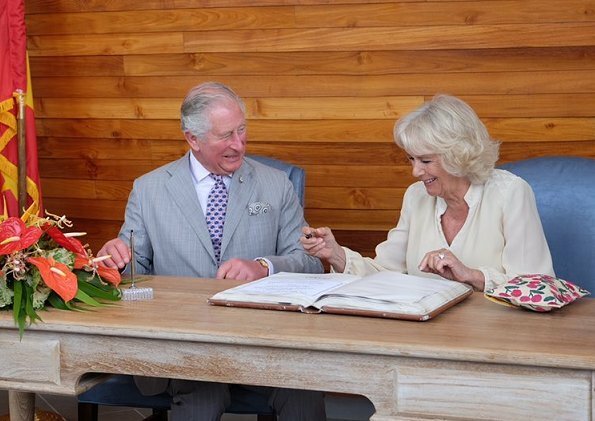 The Prince of Wales is a happy husband, father and grandfather. I hope the queen is able to reign another 5 years at least and Charles and Camilla enjoy their "pension" leaving the crown to William and Kate. 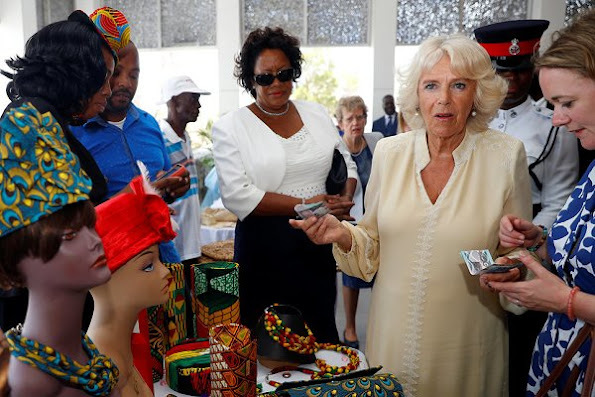 Not meaning to start a kerfuffle, but I agree with those who are puzzled not to see Camilla in a dress more often on this trip. I certainly don't mind occasionally seeing her tunic-and-trousers look, be it in the Caribbean, at home, or in the Middle East (where I think it is called the "salwar khameez", and where she first began wearing it). But, the long tunics would be perfectly lovely worn as dresses, and surely cooler in the tropical weather? It seems a bit of a stretch to think the object is to avoid sunburnt legs, but perhaps that is the case. I think she's just going for comfort but she may be one of those people whose legs get a bit swollen in the heat - just a thought. I would like to see her in a dress but I suspect she would feel she had to wear tights and maybe she just thinks that's a bridge too far in tropical weather!!! I like this tunic, and I think that they are much more versatile than a dress for these events, furthermore I am sure that she would have wear stockings, because she always has, and because age is most cruel with legs. Are these socks peeping from her shoes? 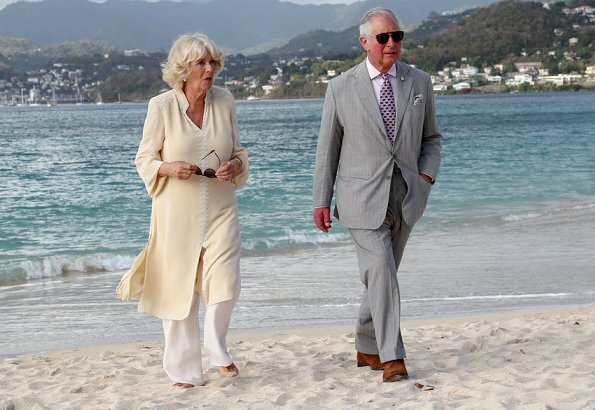 They look so great on the beach--a not unusual English/British couple with him still in his formal clothes and her in her bare feet. As said above, it's lovely to see how comfortable and content they look in each other's company. 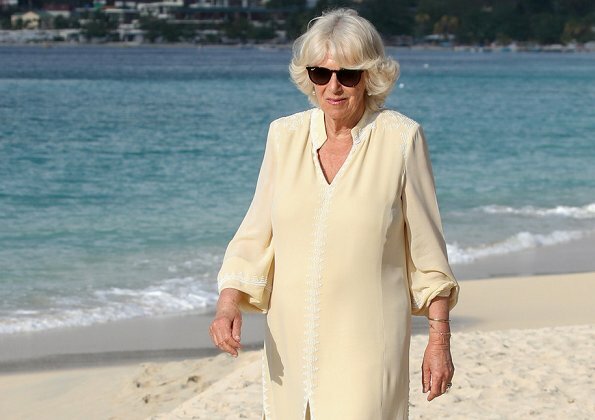 Cherry Blossom, I never thought of the need for tights which would be ghastly in the heat but as you say I don't see Camilla going bare legged. That could indeed be the reason for the tunic style outfits. 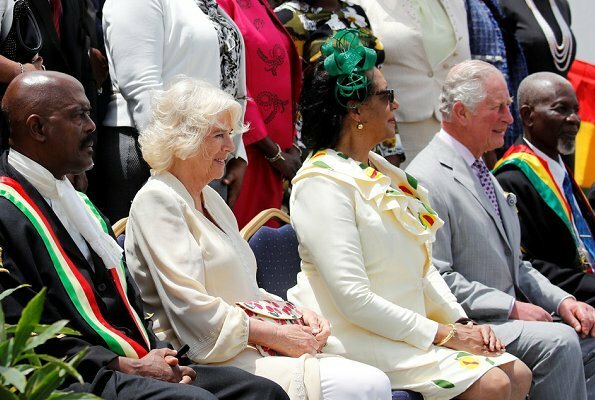 They make a perfect couple, perfect in style and interacting and certainly as the ambassadors of the Commonwealth. Nice color Kraftan. But there are too many. I think a nice dress would be a nice change.These two Royals really enjoy their work and each other. Very nice. 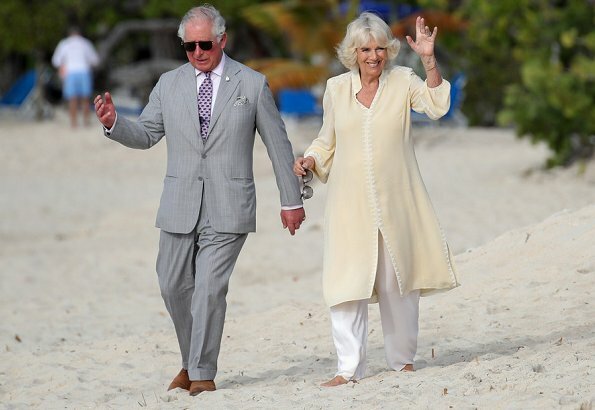 Knap de outfit van beiden, ook Charles in zijn licht grijze pak. Beiden zijn perfect bij elkaar. 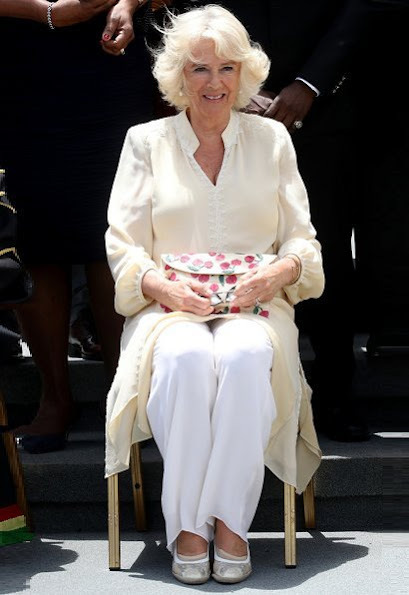 I really like the way Camilla dresses. I know her outfits are all custom made and her seamstress does a wonderful job. She always looks comfortable and stylish. 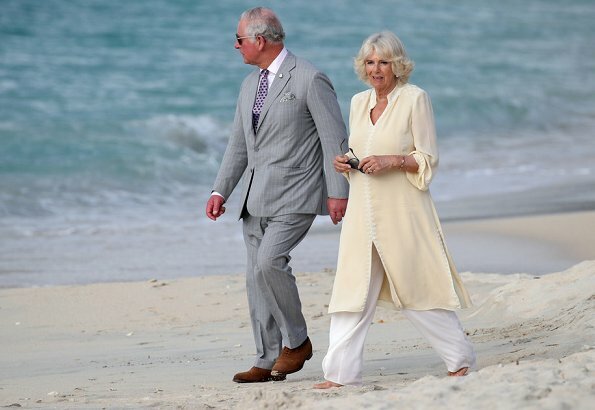 I love the look of her caftans and the white loose fitting pants. She looks cool and classy at the same time. She likes to keep her arms covered most of the time and I can understand that since some women of her age ( I am the same age) have that loose crepy skin that needs hidden. She also looks great in white and those beautiful colors of her caftans.